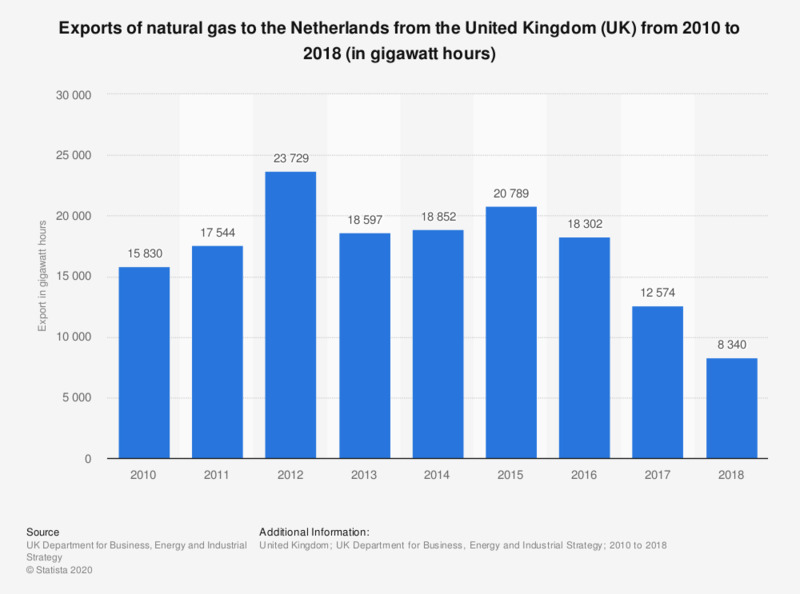 This statistic shows the exports of natural gas to the Netherlands from the United Kingdom (UK) from 2010 to 2017, in gigawatt hours. The amount of natural gas exported peaked in 2012 with 23,729 gigawatt hours exported. In 2017, the exports of natural gas to the Netherlands totaled 12,574 gigawatt hours. According to the source, the data consists of direct exports from the Grove, Chiswick, Markham, Minke, Stamford, Windermere and Wingate offshore gas fields using the Dutch offshore gas pipeline infrastructure.